Use this link Comprehensive Alphabetical Catalog Access to find any Rematch quickly. "Remake Rematch." It's a term I coined as YTMN on RottenTomatoes in 2008. Apparently, others liked the term! I can't know whether they independently coined the term, or whether they saw mine and borrowed it. YTMN in the original OP for this thread wrote: I did three of these threads at RottenTomatoes. This time I will re-post those three with revisions, and add at least four brand new Rematches as we go. It will all be in a single thread, this time. Click on the banners below to go to the initial post for each Rematch. If your mouse arrow doesn't change to a pointing finger icon, there is no link established yet. The thread has been building slowly since 5 Feb 2011, when I started it with the Redux postings. I revised this OP on 13 Aug 2012 to streamline it a bit and put a link to Round Two on page 1. Added the Round Three link on 29 August 2013. Future Rematches will be posted in a pre-set order. This thread is "hyperlinked up" almost as if it were an independent website. When a link goes live there is something new to see. Please check back often. As it says below, Round One with nine Rematches is complete. I have "banner farms" for Rounds Two & Three on other pages of the thread. Links to the initial posts for each Rematch also appear in my sig and in Gort's sig. Thank you to these people who helped me get this version of the thread started. Rematch Essay Remake. The Round Two Banner Farm went up on 15 August 2012. 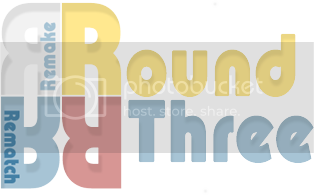 The Round Three Banner Farm on 29 August 2013. 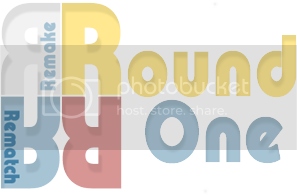 ...........................................................................................................Click the logo to go to the banner farm for Round Two or Three. Click the banners below to go to the Round One Rematch initial posts. A teaser post went up with stills from the Falcon films, on 10 March 2011. The Thread continues to grow slowly as I add more essays and technical posts and develop the promised Rematches. August 10, 2012. Well, at times it seemed impossible. But the first eight are done, plus the 3:10 to Yuma Weematch thrown in for a diversion in May 2012. Now I decide which pairs of films to compare as I move forward. But...I completed what I set out to do. July 25, 2012 is the day I finished the next-to-last Rematch of the original eight. i have only The Maltese Falcon left to go, and then i'll be free to select new Rematches to pursue. What a hobby! Frankly, I've been looking forward to TMF all along, perhaps with more energy than the rest combined, but I must have been saving the best (and most complicated) for last, or something. July 14, 2012 is the day when I resumed posting essays in this thread. On June 23 I completed the Dorian Gray Rematch. 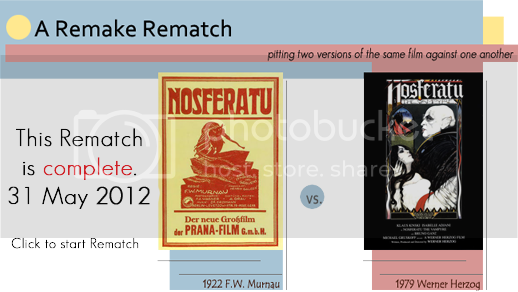 The Nosferatu Rematch had been completed at the end of May (the 31st, actually). As I finished each of those Rematches I didn't post in this block because I was preparing for a trip to Turkey. That trip has ended, and despite thinking that I wasn't experiencing jet lag from the return trip (I had none going east) I think I am. So I'm using the sleep-distortion to put up a post or two at the Corrie! 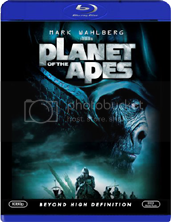 May 10, 2012 marks the completion date for the Rematch pairing the Planet of the Apes films. Four left to complete that I began last year, so I'll start considering future Rematch candidates, and I won't get more than two going at a time! The Maltese Falcon still needs Script, DP and Weblinks tech posts, plus 10 planned essays. 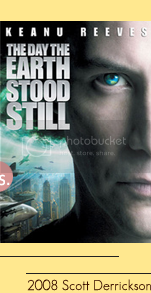 The Day the Earth Stood Still still needs the Weblinks tech post, plus 7 planned essays. Nosferatu still needs the Weblinks tech post, plus 7 planned essays. Dorian Gray lacks 9 planned essays. Planet of the Apes needs the Weblinks tech post, and 5 planned essays. Haven't made any posts in any of these since April 13, 2012. But I'm probably going to take a little break of a few days before barreling ahead with Planet of the Apes. It would be nice to complete another one! The one I most want to resume is The Maltese Falcon, though. 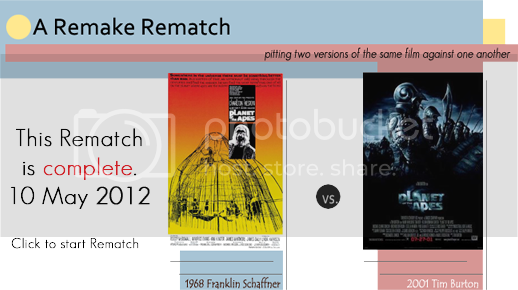 April 24, 2012: I'm forging ahead on the Remake Weematch for the Western. I posted the review of the '57 movie just now. I have the 2007 film loaded in the BRD player for a third viewing, but I might scratch that for today. I have time to watch it sometime later and finish the review. Most of the Yuma essays are done except for graphics and additional editing touch-up. And I have four tech posts to build. I'm hoping to finish this soon, and feel like I've accomplished something by doing so, then I'll return to the remaining year-old Rematches and forge ahead on them. 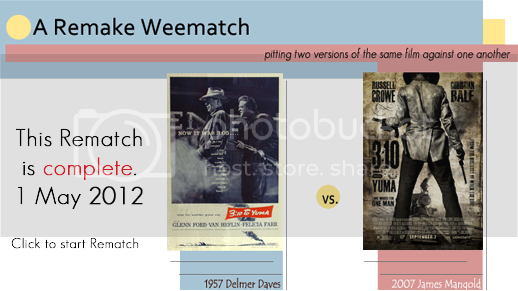 April 13, 2012: I got the 3:10 to Yuma Weematch started and yesterday I posted source links for acquisition. Today I added another Dorian Gray essay. I have the essays for Yuma already written, but haven't pulled a single still from either of the Westerns. At least this weekend won't be completely Rematchless! An exchange with Mr Carmady in another thread made me realize that I've been selecting films I've seen, and usually pairs with one film that I really like for Remake Rematches. Mr Carmady suggested 3:10 to Yuma, since he's seen both the 1957 original and the 2007 remake. I really don't have a hankering to see either film, but I decided that it would be an interesting experiment to do a Rematch totally cold. What if I like one? What if I like neither? What if I like both? 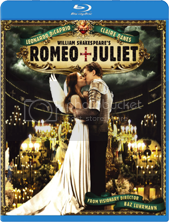 And I've ordered the DVDs and a book with the original short story to try it out to see if it's Rematch worthy. Thanks to Mr Carmady for the idea. UPDATE: On April 2, 2012, I picked up both DVDs and the short story collection that has the original story. I read the story today, and will watch the films as soon as I can. After I got all the technical topics posted for Dorian Gray it seemed right to throw in an essay before heading off to work on tech posts for the other Rematches. So, it was done. Impatience. That's what I'm feeling about all this. So to try to get something done that will look like more is going on that really is, I've decided to complete the technical posts for the five in-progress rematches before tackling the remaining essays. Mainly because doing the essays for The Maltese Falcon will require re-reading the novel, and watching all three movies again! Oh, joy. And I'm busy reading Dracula while I'm at it. 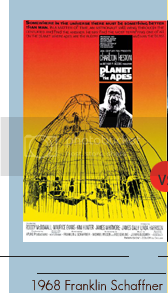 And need to read Planet of the Apes again oh why did I decide to compare the movies to their source material!!?!??!!? Because It's a good Idea. That's why. 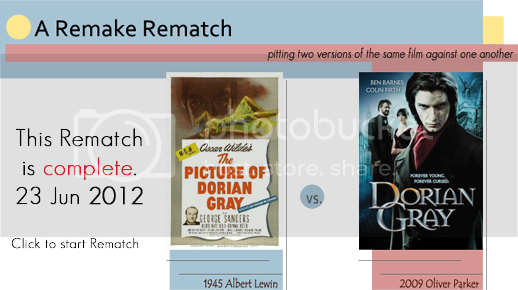 I just watched one of the Remake Rematches at Screened.com. Blessed with a bigger budget (or should I simply say "Blessed with a budget"?) and a host that waves his hands when he talks to an ever greater extent than I do, their video-based rematches are pretty cool. At least the one I watched (Wille Wonka. Also, theirs lasts about 10 minutes, and then you're done. I doubt that anyone ever reads this evolving post, but in order to move some of the Rematches along, I'm concentrating on tech posts, such as Director of Photography and the like. It gives me a chance to complete a post in an hour or so, and get it in the thread, to keep up both my interest and that of my readers. Lately I've gotten DP information up for Apes and TDtESS. After heavy work and a viral infection of some sort, I finally got a chance to post the Producer information for the Falcon films, and an essay on pacing for Nosferatu on the 24th of February. I intended to work in something for three other Rematches, but this morning I wanted to post about Nosferatu again. So I got the costumes essay in the thread. There is a large backlog of essays that are finished except for graphics. I noticed as i looked over the original three Rematches that many of the essays are much shorter than what I'm producing these days. I've gotten too verbose, I guess. No, there's no guessing about it. For some reason I have too much to say, and I add it whenever I proof-read the completed essays. In order to "get something posted quickly" I decided to select "The Eqyptian Cat" to finish on Sunday, February 5th. What a miscalculation! It took me five hours to decide on the frame grabs to use. 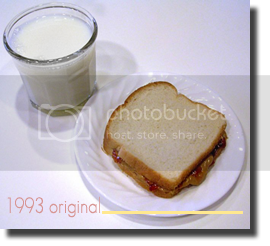 There is less text than usual, and the frame grabs are simply presented full-frame, but reduced so that three can fit side by side for 1945 or two for 2009. But picking them out, and reducing them all to 183 pixels height, then pasting in effects for a nifty drop shadow...that took a while. But I think the result was worth the time. It even required me to load the DVD and pull some additional frames with VLC in order to show the moment of transfer in the 2009 version of the movie. Although my general impression remains that the 1945 movie is too reserved for Wilde's story on the screen, as I work on more essays I am developing a fine appreciation for the artistry of the film. Listening to the commentary by Steve Haberman and Angela Lansbury has helped me understand some theoretical background for the movie that alters my understanding of certain aspects. It has also confirmed my suspicion that Hurd Hatfield was under the spell of Director Albert Lewin when he played Dorian in such a boring, low-key way. In fact, Lansbury says in the commentary that it annoyed Hatfield to no end that he could not move his face during the takes without Lewin hollering, "Cut!" and making him do it over...without changing expression. 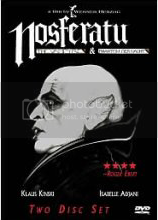 The first Nosferatu essay went up on November 24, 2011. Thanksgiving Day in the US. On the 25th a couple hours' work got the Planet of the Apes essay graphics done, and I was able to post the 10 new placeholders in the broker post. I got a bit more posted on Christmas Eve last year. 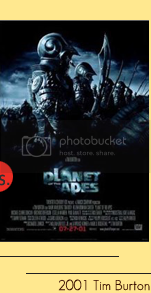 As for the comparison of the two Planet of the Apes films, both film review posts are now in place. I continue working on links and other reviews along with essays for that pairing. Three essays are in place as of January 11, 2012. The Remake Threematch for The Maltese Falcon is going again. I have viewed and grabbed hundreds of stills from the three versions of The Maltese Falcon: 1931, 1936, and 1941. In this case they didn't start off with the best version. It's the second remake that is considered the finest, and that has become famous. It made Humphrey Bogart a star actor, and John Huston a star director. I have three essays about the the films, as well as the reviews of the 1931, 1936 and the famous 1941 movies up in the thread, now. I'm going to have to rewatch all three Maltese Falcon flicks so that I can complete the series of mini-essays comparing the characters and the actors who play them across the trio of movies. I watched the 1941 film on the New Year's break. The essay broker posts for The Maltese Falcon and Planet of the Apes exist already. I have been writing essays all along, but, other than one Maltese essay, I hadn't had the time to create graphic blocks and thumbnails to get them in the thread. On November 5th I was able to create the graphics for all the planned Falcon essays, and got three essays posted on that day. Then I decided that I had put enough new material in the thread for one day (no comments as of this writing) and could return to working behind the scenes. Frankly, my vision for the Maltese Falcon Rematch was rather ambitious, so it's taking a while. 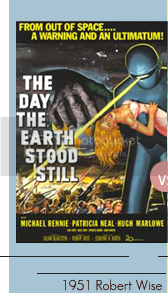 The review of the 1951 original of The Day the Earth Stood Still was posted May 30, 2011, a long time ago. I finally got my love poem (ha!) to the 2008 remake into the thread on August 04, 2011. 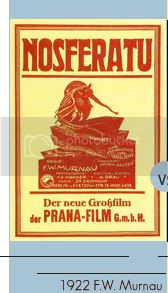 I have reviewed both 1979 Herzog remakes of Nosferatu (one performed in English, the other performed in German). The reviews are up. 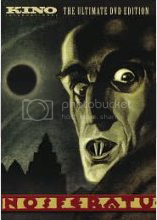 I am working on Nosferatu essays and graphic blocks. 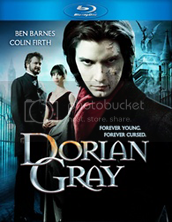 I have the Dorian Gray frame grabs done, and I posted the first essay on November 23, 2011. Back in October I posted three technical blocks for those two films. I have several other essays complete, but not posted, and I've got both film reviews underway (they were finally posted on 1-14-2012). I have looked through my thread content for each film in order to determine what graphic headers and blocks I'll need for each one, and I'm starting to work on those. I've laid out what essays I intend for each of the remaining films to guide me in development. I have also pulled a lot of links to use for the technical posts for The Day the Earth Stood Still, Nosferatu, The Maltese Falcon and Dorian Gray. As I wrote above, some tech posts are in place, and I plan to sort of keep up with them, even though as posts they are dull for uninterested readers. I had originally intended to reread the source material for each of the rematches. Actually, the only one I haven't already read is Dracula, by Bram Stoker. I'd like to be able to write about each film as a treatment of the source material, as I did with the original three Rematches in 2008. But, that just adds reading a novel or two to the workload for this thread! Ha ha. It has been so long since I watched some of these films that my memory of them is fading. I suppose I need to engineer a few re-watches. 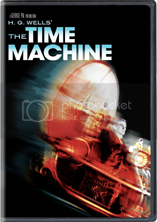 I found a source through Amazon for the 3-film set of The Maltese Falcon, and as the price had risen by $1.50 since the last time I checked, I ordered it on Thanksgiving. 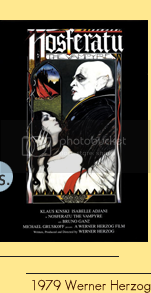 While I was at it I ordered the KINO Nosferatu, and Herzog's films, plus the two Dorian Gray movies. Now I can watch segments of each film in the Rematches in order to keep them fresh in my mind as I proceed. I think that's worth about $65.00. 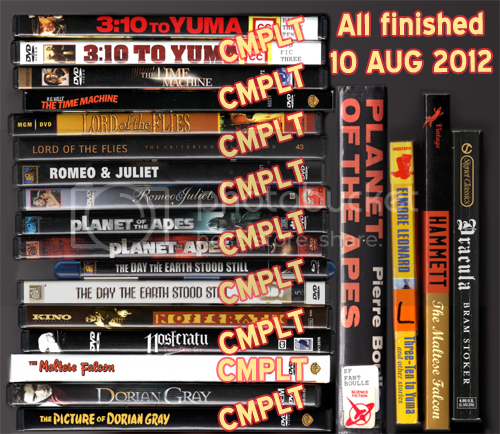 I have completed the posts for links to places where you can buy or watch each of the films on DVD, Blu-ray and Netflix Watch Instantly. If you have a Netflix account, and are logged into Netflix when you click a link to one of their pages, you will see the queue page for the film. If you don't have an account, or are not logged into Netflix at the time, you will see the information panel on the sign-up page at Netflix. As of 12 November 2011. Thanks to those who read, and also to those who occasionally let me know that they've been reading. That encouragement is helpful, but I am determined to do this more or less as a hobby...in much the same way that Clyde Parke spent decades creating a mechanized model of a circus that is now at the Pink Palace Museum in Memphis, TN. He did it for his own amusement, more than for me to stand and marvel while I watched it operate. Now that the thread is well-underway, to see the first unread post, click on the small circle to the left of the Thread Name in the forum page. This icon will take you to the first post that you haven't read...which might be comments from other posters, any new YTMN posts in the thread, and so forth. How this works (I hope). 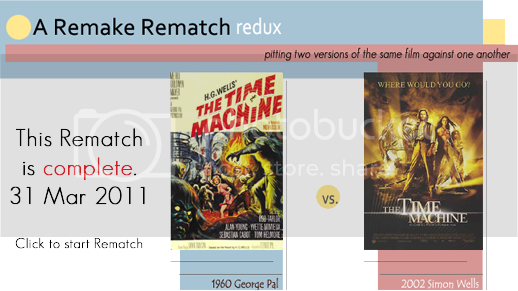 Basically, I will be treating the Remake Rematch thread as if it were a self-contained website with various articles about films and their remakes, if that makes any sense. Now that the IP's for the seven Rematches are up it may be clearer why I'm doing it this [/i]way...or perhaps it's only seeming foggier by now! The buttons beneath each of the "second" posts will link to different posts within this thread, although the categories will be the same from Rematch to Rematch. 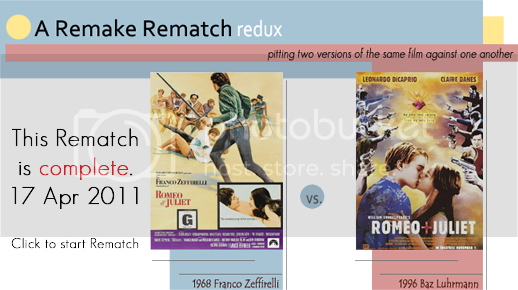 (I assume you got that already, but just in case you didn't...) For example, the Essays link for each Rematch initial post will take you to a third post where you'll see thumbnails for various comparisons between a specific pair of films. And those thumbnails will link to other posts where the actual content information is found! Sounds more complicated than it will actually be. That way, a new reader, or someone who hasn't read, say the Nosferatu comparison in a while, can find the second post, see what links have been updated (until there are links each button will be "dead" with only the regular arrow if you mouse-over it), and follow them to whatever he/she wants to read. Within the Essays post for each new Remake Rematch, the various thumbnails to the planned essays will go up before they are live. It won't exactly be the ordinary straight through thread, nor will I be able to put up all the information quickly. 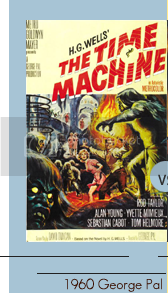 Comment posts will intervene, no matter how I try to prevent it, so I thought hyperlinks that could "tie together" the various posts for one comparison of a pair of films, would be the best way to navigate. 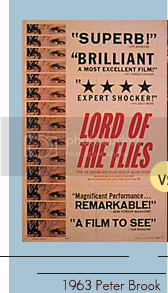 Let's say you're following the posts that go up in the Remake Rematch for Lord of the Flies. You haven't been in the thread for ten days, and YTMN has put up some new material. 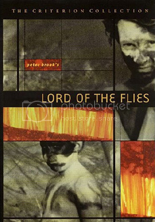 You go to the OP for the thread, find the banner for Lord of the Flies, click on it, and are taken to the LotF "Initial Post." Advantage to the reader: You don't have to hunt through the thread trying to find the new posts for a particular Rematch. And you can skip whatever you want to, reading only what you find interesting. Disadvantage to the reader: The thread won't have much linear coherence. Content posts will be interspersed with comments by readers, and...oh, wait, that's just a regular thread, after all. Disadvantage to YTMN: Lots of graphics to build, and lots of links to set. I hope you enjoy reading. If not, I'll at least enjoy posting. This post updated 30 May 2011. Have you ever heard anyone say one of those things when learning that a favorite film is going to be remade? Have you said or thought something similar? It may surprise you to know that remakes are not specific to the movie business. Nope. 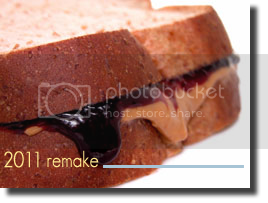 Have you ever made a second peanut butter and jelly sandwich, or was that first one you ever made sufficient for a lifetime? Perhaps you should enjoy that same sandwich over and over—in your memory. You’ll never make another one that’s as good! If a remake, or the idea of a remake bothers you, perhaps you should just think of updates as “covers” of a previously recorded movie. After all, hardly anyone loses sleep over a bad cover of an old favorite tune! 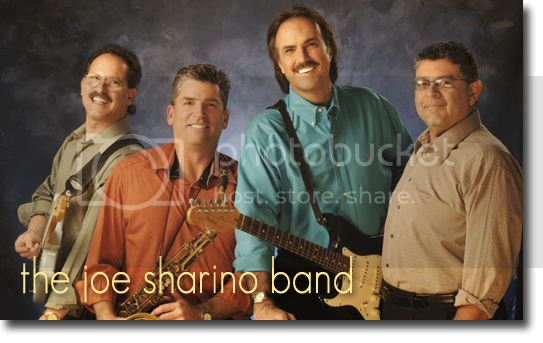 I found this cover band's web page on the internet by searching at random for "cover band". Song covers are made all the time. Of course those remakes don’t require very much of your life to enjoy or endure. I suppose there have been complaints lodged against certain performances of certain songs, or the recordings thereof, but I don’t recall hearing many. Then, again, I don’t recall what I had for breakfast yesterday morning. 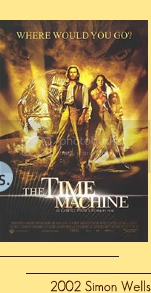 “But I’ve never heard of a novel remake,” you may want to say—challenging my assertion above. Okay, I’ll admit, the idea that someone would do a modern remake of H.G. Wells’s The Island of Dr. Moreau as a novel seems a bit weird. Mark Twain’s novels have been re-written to conform them to more modern-style language (that’s been done with The Bible, too), as have some of the works of Mr. Charles Dickens. You can do that. Those works are all in the public domain. They belong to everyone! Yes, movies are different. For one thing, not as many people confuse a book with real life. And, films cost a lot more to produce than a book. They require a larger number of people working hard in order to bring them to life. And up until recent times, the version you could see was controlled by the people who owned the prints and the big halls in which those prints were shown. Not anymore. On the other hand, if someone forces you at the business end of a butter knife to sit down and focus your eyes on the horrid remake of your favorite film of all time, it isn’t likely that you’ll die. 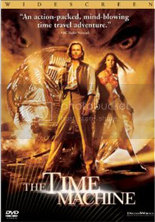 And unlike when I was young (here it comes) when we were still waiting for dinosaurs to evolve, and before there was even VHS or BetaMax to allow me to see a film on my TV screen in my own good time, these days we can see both the horrid remake and the most excellent original version of any film. Ever Hear of The Maltese Falcon? 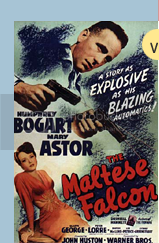 Many people prefer the 1941 The Maltese Falcon to the 1931 version. Many don’t even know the 1931 version exists. I didn’t until the summer of 2007. There was even a third, 1936 version, sandwiched between them. Most people (even those who profess to hate all remakes) believe the second remake of the Dashiell Hammet novel is the best. But it took three cinematic attempts to get it on the screen. Certainly, there were those who loved the first or second versions. No one bothered to do a remake of the novel, of course. Hammett's 1930 version is the only one written to date. My philosophy on remakes is this: there are any number of reasons why a film might be remade. Who’s to say that it shouldn’t be remade? I don’t mind black and white films. 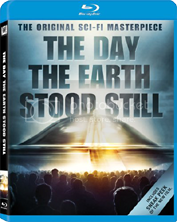 But if someone won’t watch them, then they won’t watch The Day the Earth Stood Still (1951) because *uses whiny voice* “It’s in black and white, and I hate black and white movies,” *back to normal voice* so it doesn’t matter how good the original is. Some movies were made before there was sound film. Sometimes a director will just have different ideas about a pre-existing property, and will believe that he or she could do a better job at it. Or, as Tim Burton implied when he remade The Planet of the Apes by calling it “a re-imagining of the story,” a director may believe that he or she could make an enjoyable different version of the film. Directors have been known to remake their own stuff. Alfred Hitchcock made two films entitled The Man Who Knew Too Much. One in 1934, the other in 1956. They are both good. Different fans like one or the other better. They are similar, but not entirely alike. One is in color. As for me, I like them both—for different reasons! Naturally, there are haters of each version, too. Michael Haneke remade his own German-language film Funny Games as an English-language film. I don’t subscribe to the “Law of Remakes” that says: Any remake is inferior to the original. A remake is always different from the original. The update may be in colour, and that’s different. But a remake is always made with some difference in mind. An American English production of an Asian film is made for a different audience—and that makes it different. Ringu became The Ring. 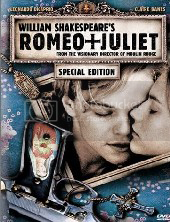 The English film is not a carbon copy of the Japanese film (except that the lip movements match the words). Even Rob Zombie’s remake of John Carpenter’s Halloween added a back story (and I thought it was superfluous, while many viewers liked it). Most of the time, as a student of film and someone who worked in the industry for two decades, I like remakes because each pairing or tripling lets me see how a different set of brains can approach the same general story. What’s similar? What’s different? 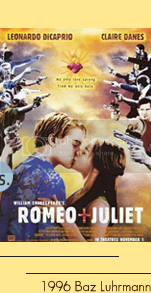 Do I like the same aspects of both films? Do I hate different things about each? 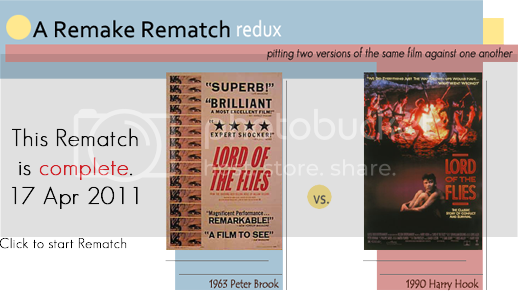 So I am going to compare some pairs of films in pretty good depth in this “Remake Rematch” thread. Three pairs done for Rottentomatoes forums in 2008 are already posted. There are others I can do in the future: The Man Who Knew Too Much; Ringu and The Ring; The Maltese Falcon is in the works; Stagecoach; The Manchurian Candidate; Wuthering Heights; The Day the Earth Stood Still is also underway; King Kong; Willy Wonka and the Chocolate Factory and Charlie and the Chocolate Factory; I'd also like to compare animated films to live action versions of the same story, Peter Pan and Pinocchio leap to mind, and there's a possibility of comparing The Jungle Book live action and animated films. There are a lot of others to turn to. I could never exhaust all the possibilities. All I know for sure about movies, both originals and remakes, is that every film is made for the people who like it—not for those who don’t like it. Quite-Gone Genie wrote: It's here! Yeah, the thread is here, but the rest. Augh! What have I gotten myself into!?!? I think the originals of all those are better than the remakes but I'll be reading. Should be very interesting. Birdie Num Nums wrote: Holy smokes! Ah! Well, at least you've seen them all. The problem I had in 2008 was that a lot of readers had seen one or the other in each pair. Perhaps you'll feel like discussing them after I get some posts up! 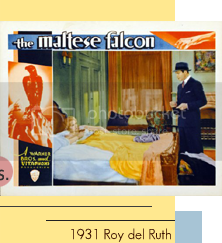 So you prefer the 1931 Maltese Falcon to the famous 1941 version? I may be the only person who likes Burton's Planet of the Apes more than the Heston one, so that round in particular should be interesting. 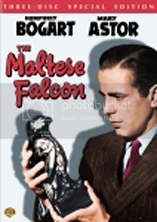 YouTookMyName wrote: So you prefer the 1931 Maltese Falcon to the famous 1941 version? Oh narf, I scrolled past that one on accident. I haven't seen either of those! But I've seen the rest. 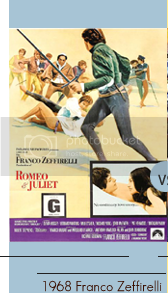 This is the initial post for the Romeo & Juliet Rematch. Really neat, Gort. Looking forward to it. The initial post for the Planet of the Apes Rematch. getrhythm wrote: Really neat, Gort. Looking forward to it. I may or may not have some embedded clips from YouTube, the way you have. The initial post for the The Maltese Falcon Rematch. 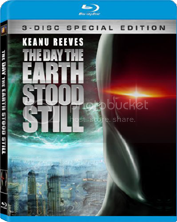 This is the initial post for the Rematch between two versions of The Day the Earth Stood Still. This is the initial post for the Nosferatu Rematch. Hank, Trip, Quite-Gone Genie, Trevor and Mod Hip. Another fellow poster made comments, but also hooked me up with the improvement of Photobucket as a place to store the graphics, and he provided technical assistance for getting the idea I had up and running...smoothly, I hope! I remember "this" thread... Nice work Tom. I actually prefer a few of the remakes, by far. Mad F. Rockatansky wrote: Will be following. Thank you. I'll look forward to seeing a post every few weeks. And I realized a bit ago that it will be easier for me to find comments by logging in as Gort and going to unread posts in the thread. When I'm YTMN and posting material it's easy for me to not see a comment as I bounce all around the thread and jump back and forth among three or four open programs. Did you notice that the wrong poster responded to this post, earlier? I did. Vasco wrote: I remember "this" thread... Nice work Tom. Do you remember this one? I was pleased with how that one went for a while. You were clever enough to be really busy selling a restaurant or something, so did not promise any Rematches! And I was surprised how many posters actually came through with their plans. Location: At the Great Northern Hotel w/ you know who. This is quite an endeavor. I'll be chiming in with my nonsense. dreiser wrote: This is quite an endeavor. Indeed. I burned out on it for today. I'll start again tomorrow. Mostly behind the scenes work right now. dreiser wrote: I'll be chiming in with my nonsense. Nonsense is always welcome. You might also offer comments on the females in the various films. You're welcome, I suppose, though for all the work you're putting into this I should be thanking you. So... yeah, thanks! Gort wrote: You might also offer comments on the females in the various films. This will be an amazing thread. These essays comparing the films will become available. Click on an image to go to the essay post. These essays comparing the films are all available. Click on an image to go to the essay post. JediMoonShyne wrote: Looking good, so far! Thanks. I'm enjoying it. Gives me something to do in the middle of the night when I can't sleep! Meanwhile, you're in Birmingham awaiting the big Super-bowl party. My brother is throwing a Super-bowl party here at home. He's bought chicken tenders, he's making a football-shaped cake, and there's something else. I can't recall what. No beer. He's resolved not to drink, and the cardiologists told me not to drink alcoholic beverages. He's going to move his 42" flat-screen to the den for us to watch on. I'm going to lunch and a movie with some friends, tomorrow, but if I know what's good for me I'll be back here before the game! Oh, wait, for both of us it's already "later today." Soon I'll get some actual content up in this thread. I knew this would happen sooner or later. I tried editing links while logged in as the wrong poster! 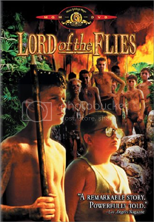 This thread makes me want to watch both versions of Lord of the Flies, since I really liked the book. Watch the films, read the essays. Cool stuff. 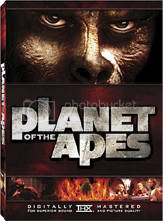 EDIT: I'll also watch the original Planet of the Apes (and maybe all the sequels too!). I've only seen the remake. The graphical bravura is overwhelming. Wow, you really put a lot of effort into this. Impressive work! Thank you. The real proof of whether the thread is worth your while will be when some words go up! kiddo in space wrote: This thread makes me want to watch both versions of Lord of the Flies, since I really liked the book. Watch the films, read the essays. Cool stuff. It will be a while before I get to the Planet of the Apes Rematch. 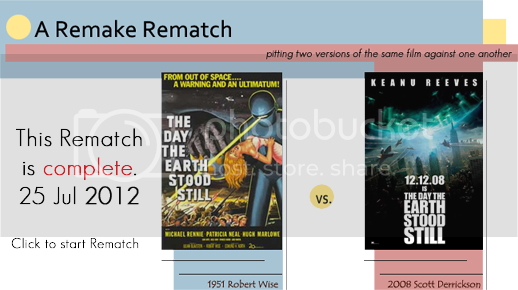 I'm buying time to develop the four new Rematches by reposting the original three from RottenTomatoes...with updates and tweaks, of course. And some essays I never posted there. 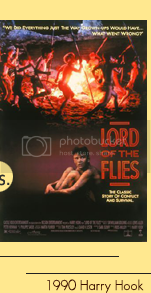 When my older son was in 11th grade in homeschool, I assigned him to read the book Lord of the Flies and watch both film versions, and then to write an essay about his experience with the three. He was to decide which film was best. He was to write at least one page about it. One page was stretching it with this kid. You should have seen his face; you'd have thought I'd handed him a sharp stick and said, "Pick an eye and gouge it out." He turned in two full pages of analysis! And it was good and clever analysis. That story amazes me with what it can accomplish in the minds of people. Circus Freak wrote: The graphical bravura is overwhelming. Thank you. I used to do this kind of stuff for a living and I miss it. getrhythm wrote: Wow, you really put a lot of effort into this. Impressive work! As I wrote to Shieldmaiden, let's hope it remains as impressive once the words start to appear. It's a lot of work, but it's fun for me, and an experiment to see just how fast I can drive BB Code. Why is it that the bottom of the text disappears? Mad F. Rockatansky wrote: Why is it that the bottom of the text disappears? "These essays comparing the films will become available. Click on an image to go to the essay post." Wait, what? When I click on the images nothing happens. Genie's right. It's just a little taste so you can maybe know what the essay will be about, and decide whether you want to read it before you waste a click. None of the links have been installed so far. Only the pictures. When a link to an essay goes up you'll get a pointing hand icon as you move your pointer over the thumbnail image. Like with the buttons at the bottom of each of those posts with bunches of pix. Gort wrote: None of the links have been installed so far. Only the pictures. When a link to an essay goes up you'll get a pointing hand icon as you move your pointer over the thumbnail image. Like with the buttons at the bottom of each of those posts with bunches of pix. Which essay would you like to read? I can probably have it posted within 15 minutes. Maybe faster. Tell me the movie title and the title of the essay. Gort wrote: Which essay would you like to read? I can probably have it posted within 15 minutes. Maybe faster.